Guru Arjun's multifarious activities, apart from making a very major contribution to the organisation of the mission, demonstrate, as laid down by Guru Nanak, that no field of life, whether temporal, social or political, is excluded for the operation of a mystic. Slowly but surely the movement came out with a distinct identity of its own and with clear-cut religious- and sociopolitical facets. This system of voluntary offerings for the common cause and the sharing of one's earnings was made regular. Every Sikh was supposed to contribute 10% of his income to the common fund maintained by the Guru. The representatives of the Guru collected contributions from their respective areas and sent them to the common treasury. The construction of the temple at Amritsar was started by the Guru and its foundation stone was laid by the reputed Muslim Sufi Saint, Mian Mir. He built another tank and temple at Taran Taran. These temples had doors on all sides, indicating that these were open to all castes and communities. The Guru had a well-organised central establishment which included the maintenance of a contingent of horses and elephants. He encouraged his followers to trade in horses from Central Asia. For his personal maintenance, the Guru also took up the trade. As such, the Sikhs became good horsemen and formed later the nucleus of military power. All these features were important developments because they were clear preparation for the military organisation that was to follow from the time of the Sixth Guru. It was in the lifetime of Guru Arjun that his son, Hargobind, started learning to wield the sword and hunting. In 1598, the Guru interceded on behalf of the local peasantry with Emperor Akbar to get the excessive levy of land revenue reduced. These activities of the Guru gave him a new status. It was at this time that the Guru came to be called by the Sikhs as Sacha Patshah (True Emperor). 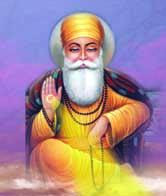 The Guru had come to guide, govern and influence the lives of the Sikhs both in the temporal and the spiritual fields. It was a significant development The organization of the community, according to Gupta, became a state within a state. An important step in the separate consolidation of the religion was the compilation of the Adi Granth as the sole and authentic scripture of the Sikhs. It has a significant feature. Besides the hymns of the five Gurus, it contains the hymns of Hindu and Muslim saints. The Adi Granth was formally installed at the Amritsar temple on the annual gathering of the Sikhs. From the very start it was recognized as the Sikh scripture. Emperor Akbar made an offering of 51 gold coins to the Adi Granth. Its installation at the only Sikh temple constructed then by the Guru and the appointment of the most venerated Sikh as its Granthi (minister) show that it was meant to be the exclusive scripture of the Sikhs and the embodiment of the Gurus system and thought In this way conjectures about links with the other systems or scriptures were set at rest for ever. This is an important step, especially when we find that in Guru Granth Sahib no status or sanctity has been given to any gods, goddesses or avatars. This compilation is a landmark in the history of Sikhism. It is a clear testimony of the fact that the Guru took this vital step to emphasise that their message and mission were prophetic. This fact comes out in all its glaring singularity when we see that, in thc entire religious history of man, no other prophet felt it essential to authenticate his message so as to secure its purity and exclude the possibility of interpolation and misinterpretation. In fact, in most cases the utterances of the prophets were compiled by their devotees long after their ministry. This authentication of the scripture by the Guru himself once and for all ensured its separate identity and purity. In the case of other prophets, their opponents can say that the prophets themselves never meant to declare any new truths, but their overzealous followers made it into a separate system not intended by the prophets. Nothing of that kind can be asserted about the Gurus and Guru Granth Sahib. It is something very extraordinary that, in line with Guru Nanak's hymn that 'with the help of other God-conscious beings he would help every one to be a God-centered person', the Guru included in the Adi Granth hymns of twentytwo Muslim and Hindu saints. It is a singular example of the Guru's sense of personal anonymity. He truly felt that in accomplishing this task he was working only as an agent of God's mission. We also find that contemporary saints like Mian Mir and Pir Budhu Shah, irrespective of religion and race, remained closely associated with the mission of the Gurus. Owing to the growing religious and political influence of the Gurus, the Sikhs had got a clear consciousness of their religious and sociopolitical identity. Consequently, the position of the Gurus had naturally given rise to hostility, both in the religious and political quarters. Saikh Ahmad, the head of the Naqashbandt order at Sirhind and a leader of the revivalist movement of Islam in India, got upset at the influence of the Guru among men of both the communities. He had access to the court of Jahangir. But, probably the chief reason that upset the Emperor was that the Guru had blessed Khusro and helped him monetarily while the latter had rebelled against Jahangir. The local administration was naturally aware of the growing Sociopolitical strength and influence of the Guru. Chat this incident rankled in the mind of emperor Jahangir, is evident from his own statement recorded in his autobiography. He wrote that he had ordered the execution by torture of Guru Arjun unless he embraced Islam, because the Guru had raised aloft the standard of holiness and many Hindus and Muslims had foolishly become his followers. Prithi Mal and his son Meherban called themselves real gurus and Meherban glorified his father Prithia and discredited Guru Nanak's hymns. They were both plotting against Guru Arjan. Others who were against Guru were Sulahi Khan of Batala, Chandu Shah Khatri of Lahore, Sheikh Ahmad faruqi Sarhindi, Emperor Jahangir who was unlike his father Akbar and pretty much intolerant of other faiths. Prince Khusrau who was also son of Akbar and was contesting for throne was captured by Jahangir's men. This prince Khusrau was the son of Jodha Bai, daughter of Udai Singh of Jodhpur, since he was born to a Hindu mother, was disliked by the fanatics who wanted Prince Salim who was a 100% Sunni Muslim (as oppose to the popular Hindi movie Mughal-e-Azam, where Jahangir was shown as son of Hindu mother). Prince escaped and went to Guru Arjan. Guru Arjan was moved at the 13 years old Prince and gave him help with money and shelter. 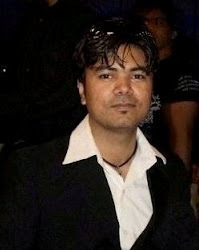 Salim succeded with the title of Jahangir. Jahangir hated all those who were in Akbar's good books. He summoned Guru to Lahore, Sikhs of lahore pleaded with Jahangir to let them collect the fine and pay to him to release Guru, but Jahangir refused. Jahangir appointed Murtaza Khan to confisicate the property of Guru and hand it over to state., apart from that a fine of 2 lakhs was also collected from the Sikhs. Guru was imprisoned at Lahore fort. He was chained to a post in an open place exposed to the sun from morning to evening in the months of May thru June. Below his feet a heap of sand was put which burnt like a furnace. Boiling water was poured on his naked body at intervals. His body was covered with blisters all over. In this agony Guru used to utter. The Guru was ordercd to be executed. In addition a fine of Rupees two lakhs was imposed on him. Some historians say that, as a measure of clemency at the intervention of Mian Mir, this fine was imposed in lieu of the sentence of death. The Sikhs offered to pay the fine themselves but the Guru forbade them to do so. He replied to the Emperor, "Whatever money I have is for the poor, the friendless and the stranger. If thou ask for money thou mayest take what I have; but if thou ask for it by way of fine, I shall not give thee even a Kaurz (penny)." The Guru accepted death by torture and suffered the first great martyrdom. His sacrifice further steeled the faith of the community in the mission of the Gurus. Gupta, who considers the views of all other historians as relevant material, concludes that it was principally a political execution. A ruling administration never takes notice of a religious institution, unless it has a political complexion and potential. The Mughal emperors never bothered about any saint of the Bhakti school. The Sikh movement was growing into a clear socio-political body, fired with a religious and moral zeal. It constituted a disciplined people who were being guided and led towards their ideals by a prophetic mystic. It was this socio-political growth which no ruler or administration could fail to take note of as a potential danger and challenge to its existence and rule. It is evident that the Sikh growth was of such dimensions that it attracted the attention of the administration and also of the Emperor. In addition it is a political fact that the Guru, as recoded by Beni Prasad (the historian on Jahangir), had given a very substantial aid of Rs. 5,000/- to Khusro, leading a rebel army and claimant to the throne. Further, this organization was of such size and importance that the Emperor not only took the extreme step of the execution of Guru Arjun, so as to stop altogether this unwanted growth (as recorded by the Emperor), but also found the movement and the episode as significant enough for mention in his autobiography Jahangir was undoubtedly right that the organisation and the movement posed a political threat to the Empire. But he was mistaken in his belief that by the execution of the Guru he had nipped this growth in the bud. In this background and the context of future developments, it would surely be naive for anyone to say either that Jahangir, by this execution of Guru Arjun, converted a simple, peaceful and innocuous movement into a military organisation, or that the reaction of the Sixth Guru to his father s execution was overzealous, especially when we know that by the very nature of the Gurus' thesis, sociopolitical developments and activities were an integral part of their spiritual life. The Fifth and the Sixth Gurus had done nothing beyond the extension and development of the foundations laid and the organisation built by Guru Nanak. Gupta calls Guru Arjun an original thinker, an illustrious poet, a practical philosopher, a great organiser, an eminent statesman and the first martyr of the faith. He completely changed the external aspect of Sikhism."